East Africa has been looking to establish itself as a technological hub ever since the arrival of several fibre-optic submarine cables significantly increased the available bandwidth in the region. Countries such as Kenya, Rwanda, and Uganda have created some of the most innovative tech products in the world since then. Venture Africa's Tom Jackson looks at five of the best. 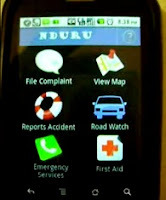 ‘Nduru’ is a Kenyan phone application that allows people to reduce their chances of disaster on the country’s notorious roads by reporting accidents or any other volatile situations, such as reckless drivers and dangerous vehicles. Software developer Thomas Kioko has developed the application, called ‘Nduru’ after the Swahili word for ‘scream’. Kenya is amongst the most dangerous motoring countries in the world, with parliament regularly debating how to help the country improve on its rating for having the fifth most dangerous roads in the world. Out of every 100,000 vehicles, 510 are involved in fatal accidents in Kenya compared to 260 in South Africa and 20 in the UK. There were 7,596 accidents recorded in 2011 with 3,005 fatalities. With more than 28 million mobile phone subscribers in Kenya, the hope is that the widening reach of the mobile phone will help increase road safety. It allows users to report dangerous drivers or vehicles as well as corrupt police officers. It allows users to flag situations that could potentially lead to an accident before they do. It also provides crucial information such as first aid tutorials, emergency numbers, details of accident black spots and the nearest emergency services. Three Ugandan A-Level students have invented a device that can detect and detonate bombs, particularly the Improvised Explosive Devices (IEDs) commonly used by the terrorists that have blighted East Africa in recent years. The students have recently concluded their S6 examination and will be starting at university in August. The device, designed by students Alvin Kabwama, David Tusubira and Nigel Kinyera with the help of Makerere lecturer Cosmas Mwikyirize, uses Bluetooth for movement control and Wi-Fi to send signals. It can be steered through suspected bombsites using a remote control within a twenty meters radius, minimizing the risk to counter-terrorism officers. It is particularly designed to detonate the improvised devices that are increasingly popular with terrorists. Scores were killed in a bomb blast in Kampala in 2010 while Kenya has been the target for a number of blasts in the last year. It is the third robot prototype that the college has developed. 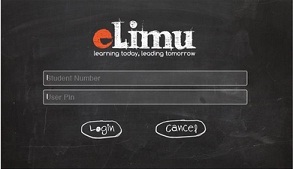 Containing revision content, exam tips, quizzes and educational songs, eLimu is bidding to tackle the high dropout rates between primary and secondary school in Kenya. The tablet, which is also available as an app, is easily navigable and specifically designed to focus on the core primary subjects. It has a simple design and includes features such as 3-D animations to help students understand complex ideas, games to strengthen cognitive thinking, quizzes, and access to online Q&A forums with teachers. Loaded with revision content for each of the six primary courses and games, quizzes and assessments that test children on what they have learnt, the tablet is to be piloted in two Kenyan schools next month. It has been designed to use technology to combat the poor standard of teaching in Kenyan schools, which has resulted in poor exam results and a dropout rate of 40 per cent at the end of primary education. By providing focused content as well as teaching aids, it is hoped that e-Limu will improve the provision of education in Kenya. Studies conducted once rollout has taken place will establish the true impact of technology on education in Kenya. 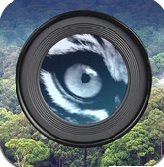 The Instant Wild App has been developed to stream images of animals from camera traps in Kenya. Though of great benefit to those seeking an online or mobile safari, the Instant Wild App is designed to aid conservation by monitoring diversity and allowing viewers to help identify images of animals on their mobile or web browser. The free application has been released by the Zoological Society of London (ZSL) and also streams images from camera traps in Sri Lanka and Mongolia. Cameras are also to be established in Nepal and Indonesia. ZSL and its partners run a network of 50 traps around the world, but by configuring, five of the cameras to upload images to Instant Wild have invited citizen conservationists to help in the task of identifying different animals given the sheer magnitude of the task. The MedAfrica app, developed by Shimba Mobile, allows patients and doctors to communicate through it. It allows users to access contacts for and information about various doctors, view nearby hospitals and search symptoms. A systematic diagnosis feature informs users about possible ailments and connects them to suitable specialists. The company also has plans to add to the application’s features in the near future. A data feed from the Ministry of Health with information of outbreaks of diseases is high on the agenda, along with a feature where users can rate and recommend doctors. Forums will also be added, as well as predefined alerts to remind users about important events such as baby vaccinations. With the ratio of patients to doctors in Kenya standing at approximately 6000 to one and a serious problem with unlicensed clinics and doctors, the application represents an effort to connect Kenyan’s with genuine healthcare and advice at the press of a button. A shortage of public information on health has made people susceptible to being taken advantage of by unlicensed doctors, with expired medicine handed out and 22 illegal clinics closed down last autumn alone. Kenya’s Medical Practitioners and Dentists’ Board supply MedAfrica’s list of practitioners. With more than 25 million Kenyans owning a mobile phone, it is hoped that the application will provide easier access to medical advice and facilities than is otherwise available.